About 30 years ago a pastor named Frank Barker was sharing the gospel with me, and he told me it was necessary that I both accept the gospel of grace and that I needed to repent (surrender my will and life to the Lord Jesus Christ). At that second condition, I said no. I was fiercely independent. He responded with a question: “Isn’t the issue whether Christianity is true or not—that Jesus Christ was truly who He says He is?” That question began my apologetics journey and my Christian journey. God’s truth is a vital aspect of God’s character, His plan, and His message to the world. Truth is a vital part of salvation and God’s calling and purpose for believers. Jesus Himself said, “I am the way, the truth, and the life. No one comes to the Father, but through me” (John 14:6). Jesus connects truth with justification and sanctification saying, “If you abide in My word, you shall know the truth and the truth shall set you free,” and “Father, sanctify them in the truth, Thy word is truth” (John 8:32, 17:17; 1 Tim. 2:4). Being in the truth, understanding the truth, and living out the truth are standard marks of Christians (2 Cor. 4:2, 13:8; 1 Tim. 3:15; 1 John 3:18-19; 3 John 8). Moreover, the character and function of God the Holy Spirit is about truth. He is even referred to as “the Spirit of truth” whose primary function is bearing witness to the truth for the glory of God (John 16:13). Rebellion against God necessarily involves going against the truth. Meaning and purpose in life are altered to sinful man’s perspective—leading to death. Thus, each man does what is right in his own eyes. Paul relates sinful rebellion with rejecting truth, “with all the deception of wickedness for those who perish because they did not receive the truth so as to be saved. God sends a deluding influence so man might believe instead what is false” (2 Thess. 2:10-12; cf. 2 Pet. 2:2). The confrontation between God’s truth and man’s sinfulness is dramatically pictured in the trial of Jesus before Pilate (John 18:33-38). Pilate represented the secular power and because of the rejection of religious Jews, Jesus was on trial. Pilate questioned the notion that Jesus was a King. Yet Jesus acknowledged being a king and said, “You say correctly I am a King. For this I have been born, and for this I have come into the world to bear witness of the truth. Everyone who is of the truth, hears my voice” (John 18:36-37). And then Pilate, in his own rejection of Christ as Messiah and King sarcastically asked, “What is truth?” With this question, he indicated a rejection of the very reality of truth revealed as well as of Jesus Christ Himself. This is precisely why the many attacks on the truthfulness of the revelation of God in the Scripture are so well received today. The growing rejection of absolute truth is the centerpiece of a major movement called postmodernism, the topic of this issue of Areopagus Journal. So what is this thing called postmodernism, and is it measurably the strong and growing negative force these and others have claimed? The articles in this journal will expound more on the multifaceted definitions, developments, and implications of postmodernism in the culture and the church. As a brief introduction, however, let us say that postmodernism, as the name implies, is a cultural belief or perspective that follows (as a reaction to) modernism with regards to the category of truth. Basically, modernism is a view that whatever can be known can be ascertained through the “scientific method,” using reason and empirical study. Modernism began to flourish during and after the Enlightenment Period of the 17th-19th centuries. Through the scientific method we could supposedly achieve complete objectivity and arrive at all truths (the way things truly are) and then solve the problems of the world (where most human problems are the result of ignorance and superstition). But social problems continued to exist. Modernism and the technology it developed didn’t seem to be resolving them. In fact, the 20th century—the heyday of modernism—saw the rise of Nazism, Stalinism and other “isms” that led to the violent deaths of tens of millions of people. So, a new movement began in the 1960s, rebelling against the cultural institution and tradition of modernism. This was the advent of postmodernism. Pluralism says that, because all truth claims are relative, all perspectives must be treated with equal respect. Therefore, one is disrespectful, arrogant, even bigoted if one claims to have the correct answer or be right. So one can easily see that postmodernism is hostile to any exclusive truth claims whether from Christianity or any other religion or philosophy. There is thus an accompanying suspicion of any person or group that claims to have the truth. Such persons and groups must be (so it is thought) attempting to oppress and control others who disagree with them. Postmodernists believe that most of the atrocities of human history (e.g., the Crusades, the Inquisition, the 9-11 attacks) are the inevitable outcome of thinking that one’s group has the correct worldview. Most of these Christian leaders began their validation of the concerns of Francis Schaeffer over 10 years ago. So were they exaggerating? According to Barna research and a massive study just released by the Pew Forum on Religion and Public Life, the concerns are very valid. For example, in 2002, Barna research revealed that 64% of American adults said that “moral truth is relative to the circumstances,” while only 22% said “moral truths are unchanging.” Among teenagers, 83% said that “moral truth is relative” and only 6% said that “truth is absolute.” The “frog in the kettle” phenomenon is reflected in the growing impact on the younger generations. 60% of those over 36 embrace moral relativism, and 75% of those 18-35 embrace it. The article goes on to note that apologetics was the most significant factor in 16-24 year-olds surveyed who came to Christ, and it was apologetics conferences that were drawing overflow crowds of young people across the country. In this journal you can read articles by J.P. Moreland, Gene Edward Veith, R. Scott Smith, and ARC’s Brandon Robbins. “Truth and Postmodernism” by Dr. Moreland examines the concept of truth and surveys the multi-faceted nature of postmodernism, and briefly responds to a major fallacy of postmodernism. Dr. Veith’s article, “Postmodern Culture Revisited,” describes the impact of postmodernism in culture with a special focus on some of the most important but overlooked segments of our culture—computer technology, the virtual reality world, and the music industry (pop culture). He also surveys the postmodern impact on the church and religion in general. 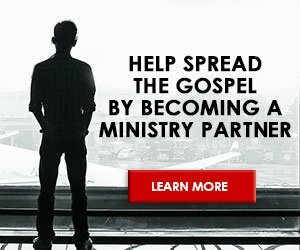 A third article by R. Scott Smith and Jana Harmon, “That’s Just Your Interpretation: Truth and the ‘Emergent Christian’,” provides and excellent description and critique of a huge movement (but one often below the radar) called the Emerging Church Movement which capitulates Christianity to faulty postmodern beliefs. Brandon Robbins adds something missing from these other articles, namely, a practical apologetic to the everyday common statements (truth claims) made by postmodernists. In his article, “Don’t Let Postmodernism be a Conversation Stopper,” he seeks to develop how an apologetic dialogue with a postmodernist might go. In the remainder of this opening column, I seek to supplement what Brandon accomplishes by directly responding to some of the popular slogans and clichés among postmodernists. Relativism and pluralism suffer from a fatal conceptual problem. They are caught between a need to provide arguments for the superiority of their own views about truth, values, human nature, and human destiny over Christianity’s claims on the one hand, and a commitment to certain principles that exclude the legitimacy of their own argument on the other. For example, pluralists eschew exclusivism, yet they engage in the same practice and mindset that they rebuke as wrong. “You are wrong to say yours is the only right view (therefore my view of pluralism is always right and your view of exclusivism is always wrong. )” In other words, pluralism is, by definition, exclusivistic. Response: You seem to be saying that your view is right and mine is wrong. Is your statement always true? You are saying no belief is true for everyone but you want me and everyone else to believe the same thing that you do. You are saying relativism is true and absolute claims are false. Response: Could you help me understand what you are saying by defining what you mean by judgmentalism? It can’t mean simply being in disagreement with someone or considering someone to be wrong because then you would be guilty of the same. Response: Yes, but that verse is often quoted erroneously. Have you ever looked at the context? Jesus says that one should not make self-righteous judgments, having a sense of moral superiority because of another’s moral failures. He wants us to know that if we acknowledge the standard of right and wrong, we too will be judged by the same standard. He then tells us to make proper judgments (cf. John 7:24). Response: I’m not sure of what you mean by “intolerant.” The common usage is not putting up with error. It doesn’t usually mean not being accepting of any or all views. We don’t tolerate what we approve of—I don’t tolerate honesty. We tolerate something of which we disapprove. Are you defining tolerance as accepting all views to be true or valid? If so, then by saying my view is wrong, aren’t you being intolerant? You are saying, “Judging is wrong, intolerance is wrong, hurting others is wrong.” So, aren’t you, on your definition of tolerance, being intolerant toward others who disagree with you? Response: Are you saying that it doesn’t matter what one believes as long as it works or seems good for them? Do you want me to believe what you’re saying is true? You seem to be saying that it is always a true statement that no belief is true for everyone. That is a universal claim that relativism is true and absolutism is false. You simply cannot say that nothing is absolutely or universally true and then say that your view about that is true. Relativism falsifies itself. The word “truth” loses its meaning. Relativism is thus self-refuting. And now we must ask where we as evangelicals have been in the battle for truth and morality in our culture. Have we as evangelicals been on the front lines contending for the faith and confronting the moral breakdown over the last forty to sixty years? Have we even been aware that there is a battle going on…If the truth of the Christian faith is in fact truth, then it stands in antithesis to the ideas and immorality of our age, and it must be practiced both in teaching and practical action…. Here is the great evangelical disaster—the failure of the evangelical world to stand for truth as truth. There is only one word for this— namely accommodation: the evangelical church has accommodated to the world spirit of the age. First, there has been accommodation on Scripture, so that many who call themselves evangelicals hold a weakened view of the Bible and no longer affirm the truth of all the Bible teaches—truth not only in religious matters, but in areas of science and history and morality. : Francis Schaeffer, The Great Evangelical Disaster (Westchester, IL: Crossway Books, 1984), 22-23.
: R. Albert Mohler, “Transforming Culture: Christian Truth Confronts Post-Christian America” (internet blog post at https://albertmohler.com/blog_print. php?id=1107, accessed July 28, 2008). : Robert Webber, Ancient-Future Faith (Grand Rapids: Baker, 1999), 167.
: William Lane Craig, Reasonable Faith, 2nd ed. (Wheaton, IL: Crossway, 1994), xiv-xv. : “Massive Study Finds Most Americans Devout, Tolerant,” The Boston Globe (June 23, 2008). : Troy Andrews, “A New Day for Apologetics”, Christianity Today 52:7 (July 2008): 28-29. This article was taken from the Areopagus Journal May/June 2008 Volume 8 Number 3.